" Old stuffs are nothing but Gold." Similarly, for the avid and die-hard auto enthusiasts, classic cars have always sparked much more interest than 21st century luxury cars. The most expensive vintage car with its sheer brilliance in design and ever evolving technologies have managed to find a special place in the hearts of the rich and affluent. Carrying glorious legacies as well as rich histories, these cars epitomize a time when the auto world was experiencing a revolutionary change of pace in terms of progress. 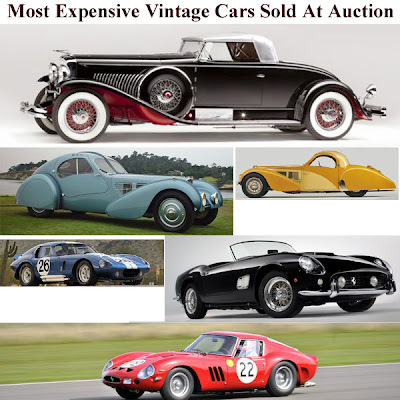 Now these fabulous vintage cars are making their way to exclusive private collections and have become an integral part of various high profile expensive cars auction across the globe. In order to Pay a tribute to these gorgeous vintage beauties on wheels, we decided to bring a high profile list of the 15 most expensive vintage cars sold at auction of all times. 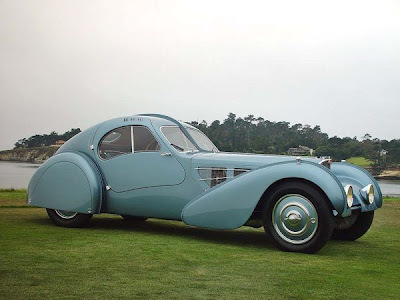 Designed and developed in the year 1936 by Bugatti and counted as the most expensive vintage car, the 1936 Bugatti Type 57SC Atlantic is known to be the first supercar ever built. Considered to be the queen of classic cars, the Type 57SC Atlantic was personally designed by Jean Bugatti, where in the car features a combination of aircraft style designing and a gorgeous teardrop bodywork. The Type 57SC Atlantic was powered by a 200bhp engine that gave it a top speed of 123 mph and as of now, only three models are in existence across the globe. This fabulous vintage car was auctioned off by RM Auctions last month and fetched a staggering sum between the range of $30 million to $40 million. 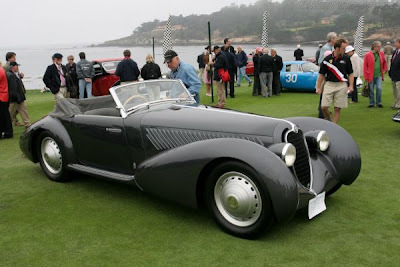 Besides the one auctioned Type 57SC Atlantic, the two other models reside in the private collection of fashion guru, Ralph Lauren and the Mullin Museum, in Oxnard, California, respectively. 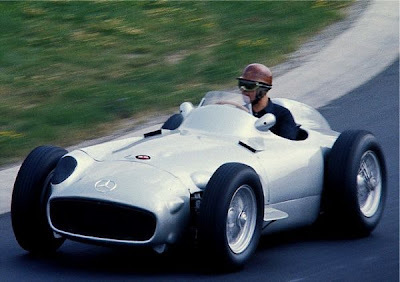 Primarily renowned for its Formula One heritage, 1954-55 Mercedes-Benz W196 was designed and developed by German auto behemoth, Mercedes Benz and was introduced as a race track vehicle. Hailed as one of the most expensive car, the W196 gained worldwide attention with its 9 out of 12 race wins at the 1954 French Grand Prix and 1955 French Grand Prix. Mercedes Benz is one of the most exquisite of all classic cars and only ten models of the same were ever produced. The W196 was powered by a front mounted M196 R Straight 8 engine, delivering 290 bhp that made this fabulous vintage car to attain a top speed of 300 km/h (186 mph). Mercedes Benz used five speed manual transmissions on this Grand Prix icon, while making the vehicle a rear wheel drive race car. The Mercedes Benz W196 was auctioned off to a French industrialist for a whopping $24 million. Designed primarily for the race track, the 1957 Ferrari 250 Testa Rossa was a supercar developed by the world renowned sports car manufacturer, Ferrari, which was produced from 1950s to 1960s. This most expensive car has claimed numerous accolades including the winner of the prestigious 24 Hours of Le Mans in 1958, 1960, and 1961. 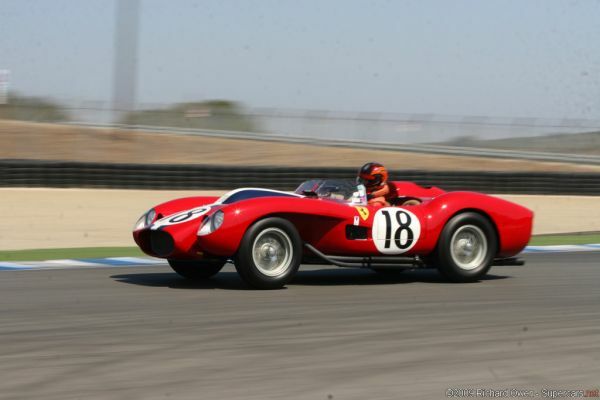 Considered to be one of the finest Ferrari classic cars, the 250 Testa Rossa was powered by a Type 128 LM V-12 engine, engine that an output of a stunning 300 bhp, propelling this vintage race car to a top speed of 161 mph. furthermore, the Ferrari 250 Testa Rossa also came with a four speed manual transmission, enabling the vehicle to make a sprint from 0 to 60 mph in just 6 seconds. A 1957 Ferrari 250 Testa Rossa was put for auction at the ‘Ferrari Leggenda e Passione’ auction event in Maranello, Italy with the chassis no. 0714TR, wih a bidding price of $12.1 million. Introduced in the year 1960 in Geneva, the 1961 Ferrari 250 GT SWB California Spyder is widely considered to be one of the most expensive vintage cars and was one of the first Ferrari classic cars to showcase disc brakes. The 250 GT SWB California Syder was powered by a Type 168 V12 engine that gave a maximum of 250 bhp and helped this vintage race car to attain a top speed of 145 mph. The 250 GT SWB came with a four speed manual transmission that enabled the vehicle to achieve an acceleration of 0 to 60 mph in just 6.5 second. 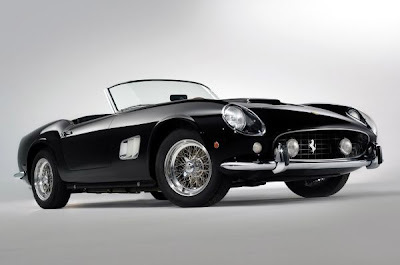 Ferrari built just 55 examples of the 1961 Ferrari 250 GT SWB California Spyder, of which the 13th edition was owned by James Coburn and was offered for auction in the year 2008 for a mind blowing $10.9 million. The buyer of this magnificent expensive vintage turned out to be Chris Evans. This particular 250 GT SWB carries the chassis no. 2377 GT and features a dashing nero black paintjob for the chassis. 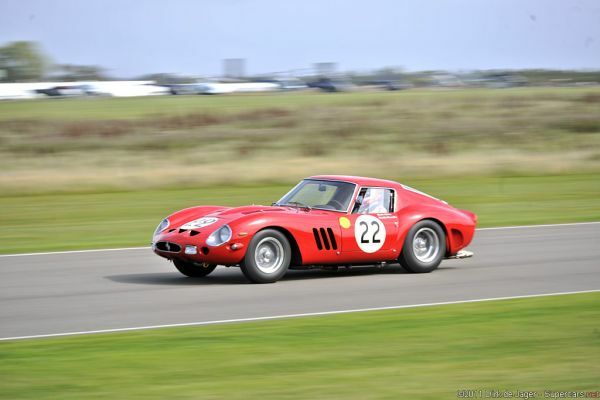 Considered to be one of the most iconic vintage race cars, the 1962 Ferrari 250 GTO took the world of racing by storm, when it was first introduced to the race tracks in the year 1962. 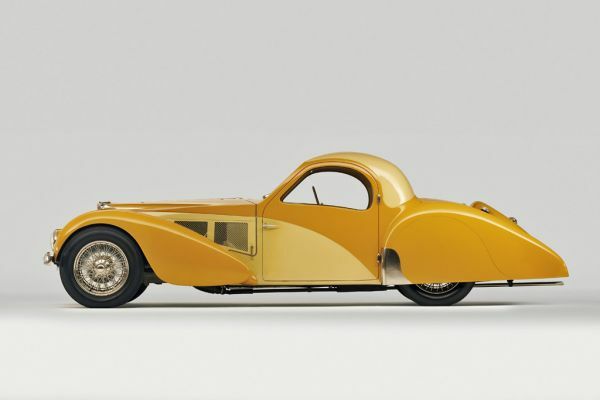 This most expensive vintage car was an amalgamation of breathtaking Ferrari design as well as technology and was said to be a race car and road car rolled into a single package. The Ferrari 250 GTO was powered by a 3.0 L V12 engine, producing 300 hp and propelling this one of a kind luxury car to an awe-inspiring 279 kph (173.4 mph). 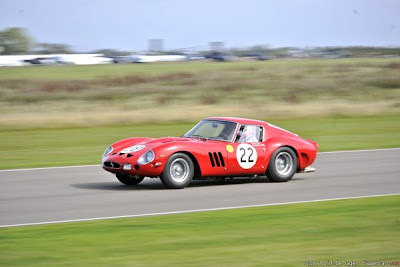 To ensure maximum performance, Ferrari had given the 250 GTO with a 5 speed manual transmission, which enabled to make a sprint of 0 – 60 mph in just 6.1 seconds. To ensure exclusivity of this magnificent vintage supercar, only 36 models of the 1962 Ferrari 250 GTO were built. One of these expensive cars was sold at an auction organized by Sotheby’s for a whopping $10.7 million. Based on the widely cherished 1928 Duesenberg Model J, one of the foremost names in the field of classic cars, Duesenberg, introduced the stunning 1931 Duesenberg Model J Murphy-Bodied Coupe. 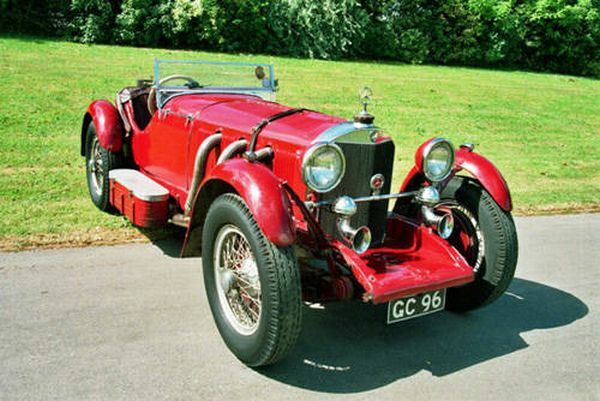 This most expensive car was specially commissioned by Captain George Whittell and since its creation, has been termed as the most elegant American automobile. This custom expensive car features special coachwork from Walter M. Murphy Co. and featured a long list of luxurious amenities and features. 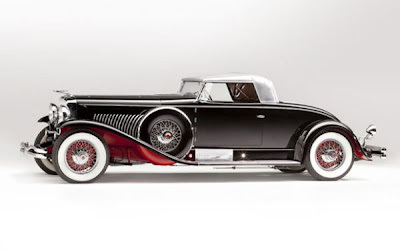 Designed by Frank Hershey, this particular 1931 Duesenberg Model J Murphy-Bodied Coupe was sold off at Gooding & Company auction, where in the model fetched an astounding $10.34 million. 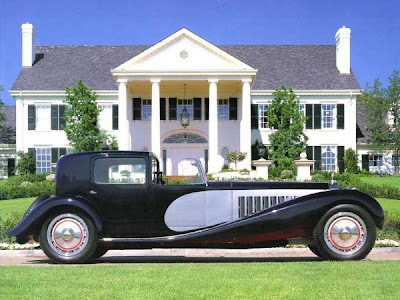 The Model J Murphy-Bodied Coupe spent nearly 20 year in the private Whittell Duesenberg Collection and was one of the first vehicles to come with Double-Acting Hydraulic-Lever Shock Absorbers. This Duesenberg design was powered by a DOHC Inline 8-Cylinder Engine producing 265 bhp and taking a vehicle to a top speed of 116 mph. With a three speed manual transmission, the Model J was capable of making a sprint from 0 to 60 mph in 13 seconds. From the French luxury automobile giant, Bugatti, came the breathtaking 1931 Bugatti Royale Type 41 Kellner Coupe, which is counted amongst the most expensive vintage cars. This is one of the finest luxury cars from Bugatti, only six Type 41 Royale models were ever produced, of which only three were sold, while the remaining three were preserved in private collections. The Kellner Coupe, which is also known as the ‘Kellner Car’ is the fifth Type 41 Royale and was powered by a Twin-Spark Inline-8 engine, producing 300 bhp, along with a three speed manual transmission, this luxury vintage car attained a top speed of 100 mph. The 1931 Bugatti Royale Type 41 Kellner Coupe was auctioned off at London, England by Christie’s, where it was up for bidding with a price tag of $9.8 million. Yet another example of sheer brilliance in automobile design and technology, the 1962 Ferrari 330 TRI/LM is known to be the most famous of all sports-racing cars ever built. This most expensive vintage car was the culmination of experience gained from various previous Testa Rossa models, which led to the Ferrari 330 TRI/LM being the most developed sports car from Ferrari. Carrying chassis no. 0808, this brilliant addition to the growing list of classic cars, the 330 TRI/LM was designed in strict accordance with Le Mans guidelines. This fabulous expensive car was powered by a Tipo 163 Superamerica V12 engine that delivered an astounding 390 bhp, along with a five speed manual transmission. 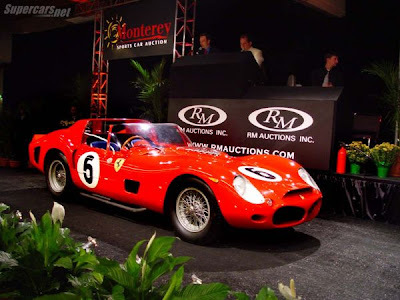 Winner of the challenging endurance race, 24 Hours of Le Mans, the 1962 Ferrari 330 TRI/LM went under the hammer by RM Auctions in the year 2007 at the prestigious Ferrari – Leggenda e Passione. This magnificent vintage car was showcased with a bidding price of $9.3 million. Considered to be one of the finest and most scintillating pre-war era classic cars, the 1937 Mercedes-Benz 540K Special Roadster was unveiled in the year 1936 at the Paris Motor Show. This most expensive vintage car was brought to the market by Mercedes Benz, as the company’s flagship model and the vehicle got built only on order basis, thus preserving its exclusivity. The 540K Special Roadster was a custom designed expensive car that was styled by Hermann Ahrens and featured some distinctive features such as sweeping fenders, recessed grill, external exhaust pipes, raked windscreen etc. This 540K Special Roadster was powered by a M24 Supercharged Inline-8 engine that delivered an impressive 180 bhp, while taking this magnificent luxury car to a top speed of 100 mph. The engineers at Mercedes Benz provided the vehicle with a four speed manual transmission, thus enabling an acceleration of 0 to 60mph in 16 seconds. 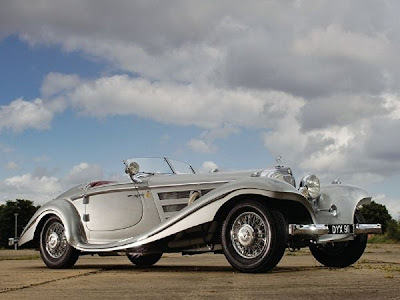 The 1937 Mercedes-Benz 540K Special Roadster made headline in October 2007, when it was offered by RM Auctions in London for a mind blowing $8.2 million. Introduced in the year 1937 by French auto giant, Bugatti, the 1937 Bugatti Type 57SC Atalante featured the best of automobile technology coupled with opulent luxury. This most expensive vintage car was powered by an inline 8 cylinder engine, delivering 210 bhp and coupled with a four speed manual transmission; the Type 57SC Atalante could attain a top speed of 130 mph. One particular model of this gorgeous of all classic cars with chassis no. 57551 was first owned by Jean Lévy of Strasbourg and was later handed over to numerous high profile owners, including Maurice Weber, French artist André Derain, Jean-Louis Fatio etc. The Type 57SC Atalante was bestowed with the Best of Show award at the 26th Annual Pebble Beach Concours d’Elegance in the year 1976. This fabulous vintage car was put up by RM Auctions in the month of May this year, with an opening bidding price of $7.9 million. Straight from the private collection of renowned automobile enthusiast and avid collector, George Milligen, came one of the most expensive vintage car, a 1929 Mercedes-Benz 38/250 SSK. This rarity among classic cars is one of the thirty three models built by Mercedes Benz and is also said to be a unique model in terms of surviving the post war era without any kind of restoration. The 38/250 SSK is considered by many to be a truly untouched Mercedes Benz specimen and is also known to be the fastest racecar in the collection of Mr. Milligen, featuring advanced aerodynamics and the design skills of Ferdinand Porsche. The 1929 Mercedes-Benz 38/250 SSK was sold at a Bonhams auction in the year 2004, where in this vintage car fetched an incredible $7.4 million. 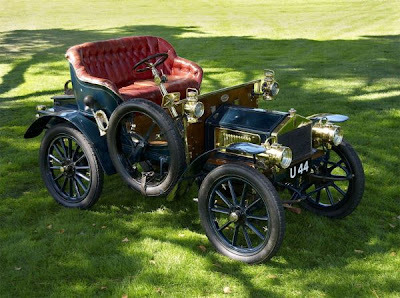 Designed by Sir Henry Royce, the 1904 Rolls-Royce 10 HP is widely considered to be the oldest Rolls Royce and is also as one of the most expensive vintage car. This historically significant specimen amongst classic cars was kept at a minimum of just 20 production models and was the first Rolls Royce car, as per the marketing agreement, which merged Charles Rolls and Henry Royce, thus spawning the iconic, Rolls Royce. The Rolls Royce 10 HP was powered by a twin cylinder 1995 cc engine, along with a three speed manual transmission that provided this expensive car with a top speed of 39 mph. One of the most alluring of all luxury cars, the 1904 Rolls Royce 10 HP was auctioned off in the year 2007 by Bonhams, where in the car was sold for a staggering $7.3 million. Known to be one of the finest vintage racing cars, the 1937 Alfa Romeo 8C 2900 was first introduced in the year 1931 and since its inception has been credited with four straight wins at the 24 Hours of Le Mans race. Only six models of the Alfa Romeo 8C 2900 were ever built, with each being powered by a Straight 8 engine, delivering 180 bhp and with the inclusion of a four speed manual transmission, this classic expensive car was capable of reaching a top speed of 109 mph. In the year 1999, Christie’s auction house sold a 1937 Alfa Romeo 8C 2900 with chassis no. 412012 for $4.07 million at the Pebble Beach auction. Along with the auction highlight, this great addition to surviving classic cars also raised quite a significant amount of cash that was then donated to the noble cause of cancer charity. Designed and developed especially for the Maharaja of Rajkot, the 1934 Rolls-Royce 40/50 HP Phantom II Continental “All-Weather Convertible” is by far one of the most significant classic cars. Once hailed as the most expensive Rolls Royce, the Phantom II Rolls Royce was purchased by Maharaja Mandhatasinh Jadeja for a bargain price of $850,000. This deal of the century was struck as the Prince wished to unite this stunning expensive back to its roots. Affectionately known as the ‘Star of India’, the Phantom II Convertible was headed for auction last year, when it was purchased by Mr. Jadeja. 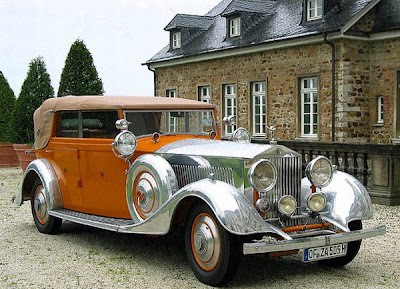 This astounding Rolls Royce features coachwork by Thrupp and Maberley that has been further accentuated with the inclusion of saffron ochre with polished aluminum wings.